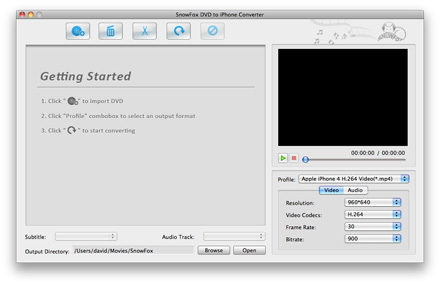 SnowFox DVD to iPhone Converter for Mac can easily rip DVD movies, including latest copy protected DVD movies to iPhone .mp4 / .mov video format with this DVD to iPhone Converter for Mac. Support iPhone, iPhone 3G, iPhone 3GS, iPhone 4. 2) Check your email now .